Our team is proud to present MMT - MMORPG game prototype developed using bleeding-edge Ungine 3D engine and RunServer middleware. 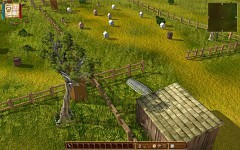 First presented at GDC 2009 in Moscow on Windows, MMT is being reborn on Linux. We have set out to develop a full-featured MMORPG in a fantasy setting with traditional third-view camera and ASWD control. When the contest began we got only a rough demo of the game available for Windows in Russian, but this demo was ported to Linux, where development will now be focused, and translated into English. Aside from the game engine itself along with its shader technology, which is out of our control, the client will be open source. With the aim of setting the standard in gameplay, graphics, compatibility, community integration and more, Project Bossanova seeks to demonstrate Linux should be treated as a serious gaming platform alongside the PC and Mac. To do this a competition was launched to find out which game people want made for Linux, then a search began to find a game which fits the description. After a few weeks of voting, the results are in and the flagship game for Linux has been choosen: MMT by RunServer. It was a razor-thin margin, and we thank all the other entrants for their participation and wish them the best of luck. This is only step one, to find out more about the game, Project Bossanova and be notified of updates, please head to the official site. We shall be supporting and covering this project as it progresses, to show our pledge of bringing Desura Digital Distribution to Linux. Ландшафт оч понравился вплане атмосферности! I also hope this project is still alive. 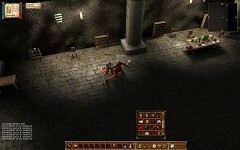 We are going to release game demo with free-to-play model. Things could change when we'll found an investor but it is too early to talk about it. No, we were using own system for original MMT game and it would be significantly redone in upcoming game to support point hit system. Ребята из Боссановы не дали нам денег на разработку - оказалось у них самих нет и они хотели начать сбор пожертвований и насобирать на игру.. Сейчас ищем спонсора, а заодно сами понемногу кое-что делаем. И так понятно, что без бюджета о мега-игре вообще речи не будет, в лучшем случае сделаем аналог браузерки - Арена+ПВП+чат+данж. Is it too personal to ask what went wrong? Why didn't you receive the money? Oh, I missed your comment, sorry. I Enjoyed the current Screens and am impressed, consider me a tracker from now on!